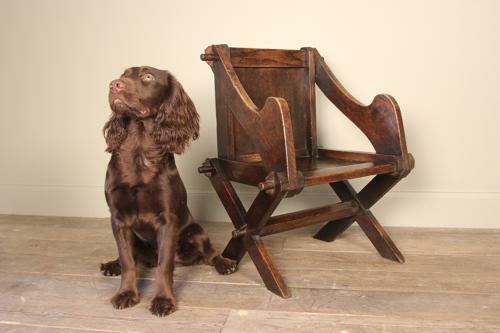 A lovely 19th century Oak Glastonbury Chair, modelled proportionally by lovely 'Elvis'. The strong and sturdy chair is the perfect miniature to the full size Glastonbury, an iconic country chair. Original finish with a wealth of character, in great original condition throughout. English, Cica 1850.